Margaretville Hospital provides a full range of comprehensive chemotherapy and infusion therapy services. Staffed by certified nurses, the Infusion Center offers infusion therapy services to help patients manage cancer symptoms and the symptoms from cancer treatment. 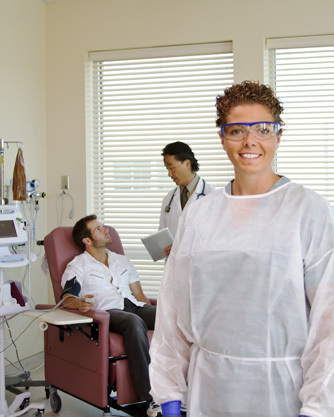 Margaretville Hospital provides services for individuals who need blood transfusions, during which parts of whole blood – including red blood cells, platelets, plasma, or a combination of these – are added to a patient’s blood stream by the insertion of an intravenous line (IV) into the arm.